The strings of your tennis racquet are extremely important since they’re responsible for generating power and controlling angles and spin. Although skill level, determination and athleticism are the primary factors in determining your success on the court, having a well-maintained racquet can aid you greatly. The main question to consider when restringing your racquet is whether you will learn to do it yourself or pay a professional to do it for you. Restringing your own racquet may seem like a daunting task for the average recreational tennis player, but it’s not impossible if you purchase a quality stringing machine and take the time to learn the craft. Let’s run down the pros and cons of each option. The easiest way to have your racquet restrung is to pay a professional. Many people do this job for a living and have mastered the art. Racquet stringers may be professionals who do it to earn a little extra money, dedicated stringers at tennis clubs, or individuals who have online string repair businesses. So what are the benefits and drawbacks of paying to have your racquet restrung? Many top players learn to string their own racquets and enjoy the challenge and the personal touch. To string you own racquet you will need to purchase a string machine and roll of string. A basic restringing machine will cost around $200, while mid-priced models can run $500 and expert-level machines might set you back at least $1000. These may seem like large amounts, but remember it’s a one-time payment and the machine should last you a lifetime. Your initial restringing efforts may not be perfect, since there will be a learning curve. But with practice, you will be a pro in no time. There are several benefits and drawbacks to re-stringing your racquet yourself. While it may seem easier and less hassle to pay someone to string your racquet, it is widely believed that players who string their own racquet will have a greater appreciation of the game and will be able to tailor their racquet to their playing style better than any professional ever could. 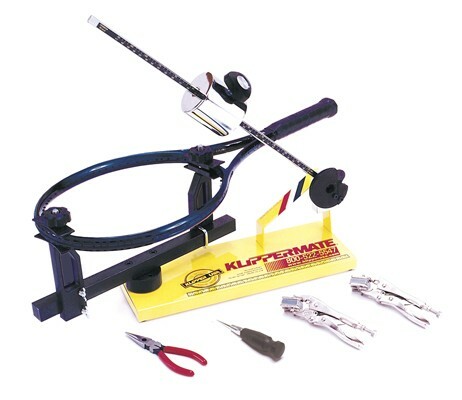 If you’re considering doing it yourself, check out our buyers guide of the best racquet restringers currently on the market, including brands like Gamma and Klippermate.